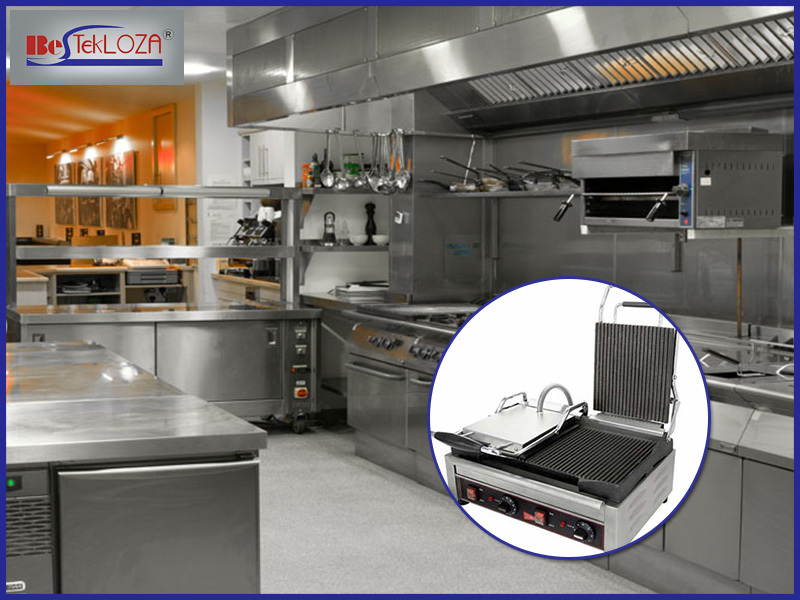 It’s absolutely true that commercial kitchen equipment suppliers know that grillers are one of the most important equipment that is required in any commercial Kitchen. But it is a must that you should not face any bad experience with your grill while cooking. Instead of buying grill equipment based on price, it is essential that you must buy it as pert style and function. Thus, here are some buying guide tips that will help you to buy the right griller for your kitchen. There are generally three kinds of cooking grates available- aluminium coated cast iron as well as stainless steel. Grillers are one of essential hotel kitchen equipment and each of the types has a different kind of advantages. In the case of aluminium coated, the grillers are generally a bit of costly. As we know that aluminium is highly responsive with thermostat and thus, it happens to be a good conductor of electricity. But, on its lowered side it is known aluminium is less durable and loses its shine very fast. Cast Iron Grilles have become one of the popular ones but it is not as much conductive like that of Aluminium. It helps to provide a consistent temperature to the surface of the Griller. But, on the downer side be aware that cast iron can also suddenly crack and can undergo huge damages. Though, Stainless-Steel grates are still high on demand as it is the most durable and safer ones. The equipment is quite shiny as well as the left over that gets accumulated on the grilles can easily be cleaned. It also free from corrosion. But, the problem is Stainless Steel will not provide you with that extremely fine conductor of electricity. Some of the Latest features in Grillers that enhance the Cooking Experience and are Convenient to use. Rotisseries – This actually kind of a motor that is installed in a griller that is extended around the total surface of the grill. Searing Area – To provide a juicy interior to any of the food the process of searing is important. It actually helps to burn some parts of the food and creates a very attractive look. Smoker Box – This actually was installed in the charcoal grills but now in the grillers also this feature is available. It creates a smoky flavour on the food and makes the food tastier. Electronic Ignition – Nowadays electronic ignition became automatic in grillers but it is important that you must properly match the safety while doing it. While cooking is the main feature which every buyer must look into while buying grillers but it is important that you must also check into its outdoor experience in terms of colour as well as style.